Heading into the 2017-18 season, the National Hockey League (NHL)’s newest expansion team, the Vegas Golden Knights, were not predicted to make the playoffs or even escape the league's basement. Everyone was wrong about this team. Everyone. The Vegas Golden Knights have had a magical opening season. It all began with the expansion draft. Vegas’ front office had chosen a player from each current NHL team, that player being unprotected and essentially not wanted by the organization. After deals were made and multiple trades later, the Vegas Golden Knights had themselves an NHL team. Although, considered a “bad, bad team” made up of "decaying stars and third and fourth line scrubs". The Vegas Golden Knights set out on their journey with absolutely no expectations. They were the underdogs all season with nothing better to do than prove people wrong. And prove people wrong is exactly what they did. They opened the season winning eight of their first nine games of being a franchise. Before the New Year, they broke an NHL expansion team record, winning six straight games in a debut season and then went on to establish an NHL record, winning eight consecutive games. By the time February rolled around, they had broken another expansion team record with most wins and most points in a season by an expansion team in a debut season. 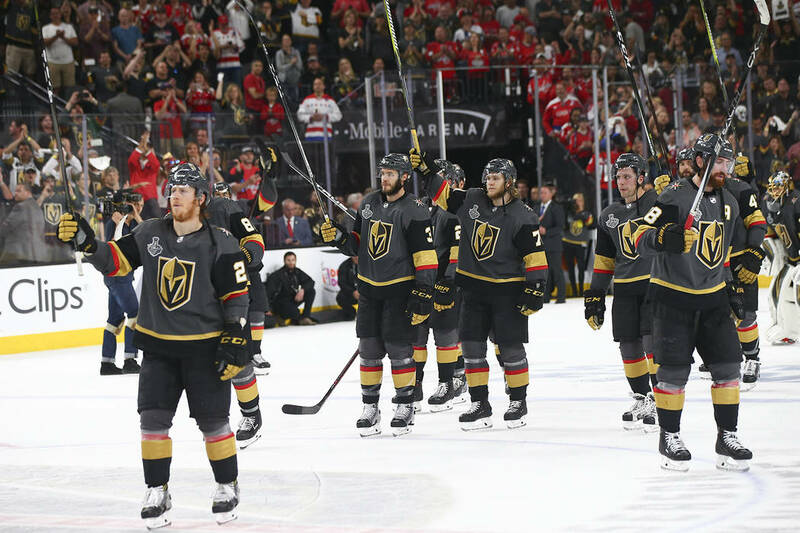 With zero faith from the hockey critics that the Vegas Golden Knights would make the playoffs, they once again made them look silly. The Knights clinched the Pacific Division title, being the first true expansion team to win their division in their inaugural season. In full force, the Knights took on the playoffs. They almost made it look easy when they swept the Los Angeles Kings in the first round. They went on to play the San Jose Sharks in round two, where they defeated them in six games. This led them to the Western Conference Finals. By then it was no surprise that they became Western Conference Champions by defeating the Winnipeg Jets in a five game series. Then there was two - the Vegas Golden Knights at the top with the Washington Capitals. The Knights opened the series at home with a win. Moving forward the Washington Capitals took over the series and went on to win the next four games to claim the Stanley Cup. The Knights did not go down easy, giving the Caps a good competitive run. It was a heartbreaking end to the season, however, they couldn’t break all of the records in their first season. They had to leave one last milestone to work towards. The Vegas Golden Knights smashed their expectations in their inaugural season. They shattered nearly every expansion team record and even broke a few NHL records. That “bad, bad hockey team” with “decaying stars and third and fourth line scrubs” turned out to be one of the best teams with some over-looked super stars. This season has truly been magical for the Vegas Golden Knights. Everything from their playoff run to the pre-game spectacles has been absolutely top of the line. The Golden Knights band wagon better make room because everyone wants a piece of Vegas and see what they will do next year!